Taking place in Bangalore, the upcoming bioConclave India 2019 will review the latest industry trends and their potential implications – with focus on Data, Tech and Patient Centricity in Healthcare. During this one-day event, you will hear from patients, pharma/biotech, tech companies and digital health start-up founders about breakthrough innovations, patient engagement, regulations, collaborations and funding. Both days will include multiple engaging formats: keynotes, talks, interviews, tech discovery, panels, and start-up pitches. Join the conversation on epg_london via #bioconclave2019 on 4th Oct 2019. Emerging technologies are rapidly changing the landscape of healthcare & life sciences industry and their relationship with the customers while creating new opportunities for collaboration. Digital and exponential technologies to include AI, cognitive robotics, blockchain health IoT, have the potential to transform the business of healthcare and life sciences individually and cumulatively. From early diagnosis and prevention to virtual nursing assistants, robotic-assisted surgery, fraud detection, risk and workflow management, no area of clinical and operational business of health will remain untouched. However, the jury is still out-will these advanced technologies remove costs or ultimately add to costs of the healthcare system? Read about bioConclave 2018 in London, here. Chairman and CEO, HealthCare Global Enterprises Ltd.
You can also pay via Paytm or MobiKwik wallet on +91 9538235240. If you are buying multiple tickets (discounts available) or wish to pay by invoice, please email spoorthy@economicpolicygroup.com. Valid only until 31st May. Our terms are here. You can also pay via Paytm or MobiKwik wallet on +91 9538235240. If you are buying multiple tickets (discounts available) or wish to pay by invoice, please email spoorthy@economicpolicygroup.com. Valid only until 31st May.Our terms are here. For sponsorship and exhibition queries: Smita at spatel@economicpolicygroup.com. For delegate sales and partnerships: Spoorthy at spoorthy@economicpolicygroup.com. The event will be taking place at The Grand Magrath Hotel, Bengaluru, Karnataka on 21-22 Feb 2019. 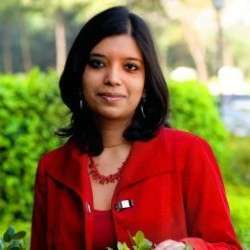 Urvashi Prasad is a public policy specialist at NITI Aayog, the Indian Government’s premier think tank. She is also the founder of Every Voice, a platform that highlights the perspectives, needs, challenges and aspirations of people living in poverty in their own words. Urvashi was previously a Director at Operation ASHA, one of India’s largest tuberculosis control NGOs. She also led the health portfolio of the Michael & Susan Dell Foundation in India for five years. Urvashi is on the governing board of Partnership for TB Care & Control, the largest tuberculosis network in India. She completed her Bachelors in Genetics from University of Birmingham, UK, followed by a Masters in Bioscience Enterprise from University of Cambridge, UK and a Masters in Public Health from the London School of Hygiene & Tropical Medicine. Urvashi is passionate about gender-related and animal welfare issues. She is also a blogger and writes extensively for several platforms including the Huffington Post and Nextbillion.net. Medical technology is now turning to Personalised medicine, tailoring medicine away from the one size fits all concept. It addresses the problems of efficacy and safety also reduce unnecessary treatments and preventing spiralling treatment costs. It also saves on R&D expenses for developers and manufacturers. Understand the use cases of AI and ML in clinical trials, drug discovery, precision medicine while addressing the challenges associated, the regulatory policies and the roadmap ahead. Data is today captured over multiple sources. This data is the basis of any information that can be accessed. The session explores the importance of validating data with an aim to get the right information that drives critical decisions, which is very crucial in the healthcare & life sciences sector. Sowmya is an accomplished Life Sciences Executive with over 20 years of business experience and extensive leadership in driving new solutions and competencies, product management and business development for both large and start-up organizations in the Life Sciences industry. In his current role at Accenture, he is the Life Sciences Industry Lead. In this role, Sowmya is responsible for industry platforms, thought leadership and solution development for emerging technologies. In his last role, as a Leader of the R&D Centers of Excellence, he held responsibility for solutions for non-linear growth and thought leadership. He also drove transformation initiatives around digital solutions impacting R&D. Prior to that, Sowmya was a part of the management team of a bioinformatics startup, Strand Life Sciences, a product development company. This session discusses about taking how clinical trials are now transforming by harnessing the latest technologies and massive amount of data captured, applying them in much more innovative ways to help acceleration of trials while reducing cost. We also talk about the regulatory and other challenges like change management and strategy to be adopted. 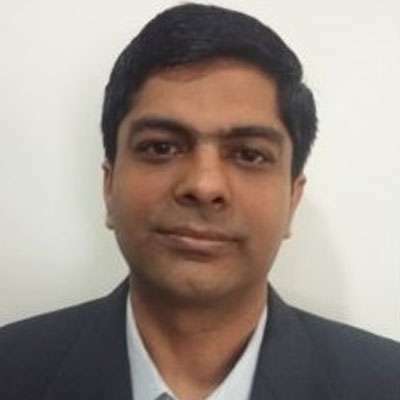 Prashant Tandon Co-Founded 1MG Technologies Pvt. Ltd. and serves as its Chief Executive. 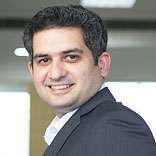 Previously, Prashant Tandon served at McKinsey & Co., Hindustan Lever Ltd., and MapMyIndia. He holds B.Tech from IIT-Delhi and MBA from Stanford University. With ML making inroad into various sectors, healthcare & life sciences is not behind. It is now making an impact on the various aspects of healthcare. We focus on how ML helps improve patient outcomes by providing the practitioners with relevant information and helping them dedicate time to more quality interactions. It also helps efficient workflow with processes being automated reducing cost and errors too. Dr Vikram Venkateswaran is the founder and editor of Healthcare India, a social movement for better health. He is an author and speaker at business forums, a marketing leader and digital evangelist. Post Graduate Diploma in Clinical Research, B.D.S in Dental Surgery, & MBA in Strategy. He has worked for and advised Global companies in the healthcare, Life sciences and Technology industries. Data is useful for the advancement of medical science and vital to the success of all healthcare organizations but can only be used if security and privacy issues are addressed. Data in now being generated on multiple sources and used to generate better patient outcomes but the healthcare consumer has absolutely no hold on where it is being stored, shared and who is using it. This panel brainstorms various aspects of data ownership, privacy and safety especially, the regulatory gaps and the challenges in doing so, considering the sensitivity of patient data in the healthcare & lifesciences segment. Blockchain technology has the potential to transform healthcare, increasing the security, privacy, and interoperability in connected digital ecosystems while placing the patient at the centre of the healthcare ecosystem. It could provide health information exchanges by making electronic medical records more efficient and secure. Understand the use cases of the blockchain, how to overcome the roadblocks associated with adopting blockchain, the regulatory challenges and more. Neeraj Lal has more than 17 Years experience in Healthcare Management. He has studied Masters of Hospital Administration( MHA) from TISS Mumbai. Specialist in Healthcare Operations Excellence, P & L, Business Development, Strategy & Quality. Approved as a Surveyor for ISQua’s International Accreditation Programme ( IAP). Have held senior positions in Indian Hospitals for a number of years. Certified Internal auditor for NABH, NABL and ISO 9001. 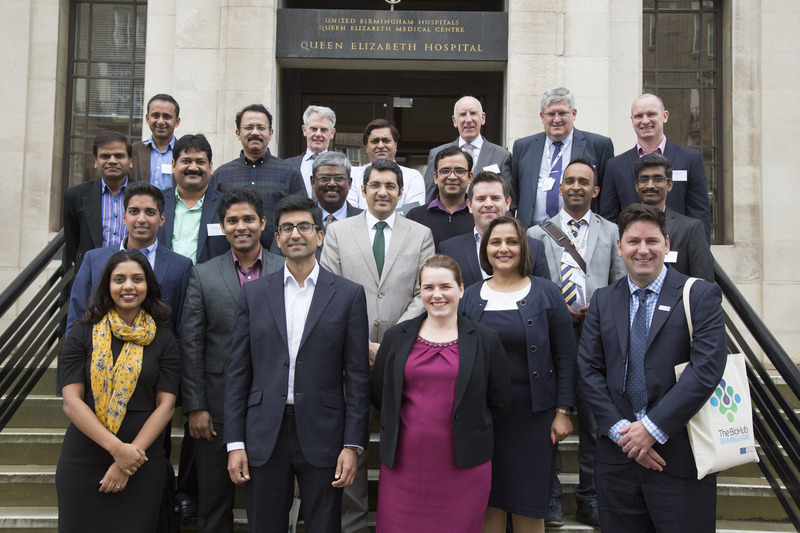 Guest faculty with many Indian Universities and Business schools for teaching programs in Hospital Administration & healthcare quality. 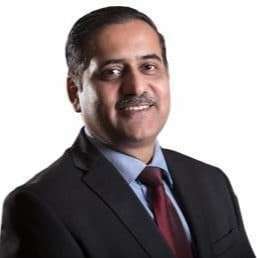 He is the member of Regional Gujarat Chapter of Academy of Hospital Administration & QCI New Delhi, Ahmedabad Management Association (AMA) Ahmedabad, Academy of Hospital Administration (AHA) Noida and Asian Society for Quality in Healthcare. He was the validation panel member for Saudi Central Board for Accreditation of Healthcare Institutions(CBAHI) Kingdom of Saudi Arabia along with Dr Lena Low, Executive Director Corporate & Surveyor Workforce, The Australian Council on Healthcare Standards too. Technology has been a major disruptor and has transformed the healthcare segment today making it more patient centric while facilitating convenience while being cost effective. Exploring the latest technologies in the healthcare and life sciences space we talk about the latest technology trends, adaptability, cost and the impact it has created while understanding ways to address the challenges. With healthcare consumerism on the rise facilitated by information technology, it is imperative that the healthcare community now reorients its focus from measuring success by volume or amount of healthcare delivered to its value. Defining value as the outcome per rupee spent, value needs to be clearly stated and rigorously captured. Let us understand from the leaders practising value- based healthcare models on what is the concept, how is value defined, why should it be adopted, and does it facilitate patient centricity. A Graduate and Postgraduate of the prestigious Armed Forces Medical College (AFMC), Pune and an alumnus of IIM, Ahmedabad, with a rich and varied experience of over 22 years in the healthcare industry. 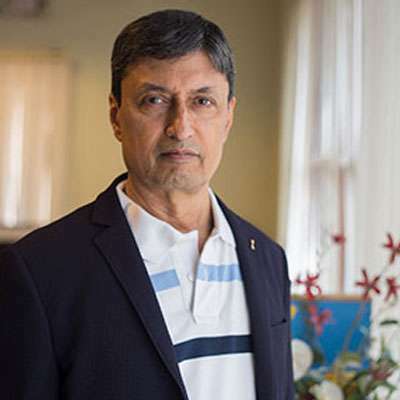 Before joining the corporate world, worked in the Indian Army as General Surgeon and operated on hundreds of gunshot/splinter injuries while serving in the toughest terrains of Siachin and the jungles of North east. The healthcare and life sciences industry are undergoing a significant transformation with the emergence of new technologies and increasing avenues for use of big data analytics, with patient centricity being at the core. This talk will highlight the developments on this front in India, including some case studies as well as outline the key opportunities and challenges, especially from a policy and regulatory perspective. Despite growing efforts to engage patients in research the pharmaceutical industry has yet to investigate and maximise patient involvement in the drug development process. As healthcare systems continue to evolve and establish patients as the primary stakeholders in their own healthcare decision making, the pharmaceutical industry will need to find innovative ways to demonstrate the value of its products relative to the outcomes experienced by the ultimate consumers of healthcare: patients. The session will talk on what strategy needs to be adopted since patient perspective on value is especially important now. 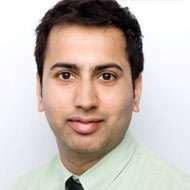 Avin Agarwal is the Co-Founder of Cardiotrack. 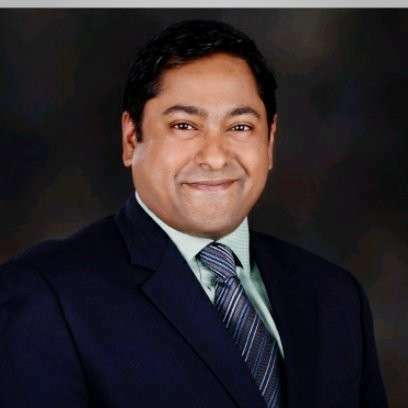 He has worked for 5 years in Oracle Financial Services Software Limited, Netherlands as a senior consultant for Oracle’s core banking solution Flexcube. Avin was part of several successful implementation projects including implementing the solution for Antwerp Diamond Bank, Belgium, SNS Bank and Friesland Bank, Netherlands, Akbank, Malta and Mediobanca, Milan. After moving back to India in 2011 Avin founded Nestingbits Technologies. 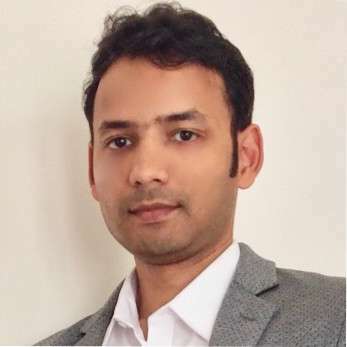 Under Nestingbits Avin worked on several research projects with St. John’s Research Institute including Whole Body Indirect Calorimeter, Neonatal Incubator for Sepsis Detection and Hand Hygiene Compliance Solution for Critical Care Units. Avin also received a grant from the prestigious Bill and Melinda Gates Foundation and USAID for diagnostics research. Avin has won several innovation awards and is part of Prime Minister Narendra Modi’s “Champion of Change Healthcare Cohort”. 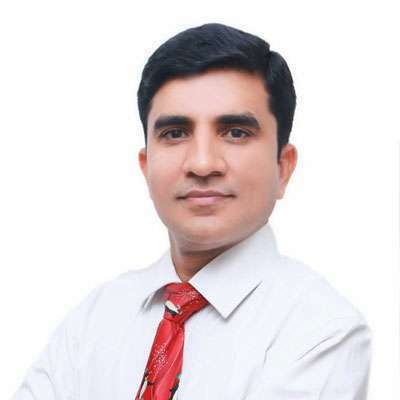 Avin has rich experience in Medical Electronics, Database Management, Native Mobile Applications, Cloud Computing, Operation Management, Customer Interface, Customer Support, Software and Hardware Development Life Cycle, Medical Device Manufacturing, Medical Device Regulatory Environment, Organisational Infrastructure, Project and People Management.